The Battle of the Somme lasted from 1 July 1916 to 18 November 1916. It is particularly poignant for Barnsley because it marked the first battle for many of our volunteer soldiers, and for many it was also their last. On 1 July 1916 297 Barnsley men lost their lives and hundreds more were wounded or reported missing. The confusion was such that the date of death of many of the men eventually recorded as killed in the first few days of the battle cannot be taken as certain. The total number of Barnsley men killed in the whole of July 1916 is 494. This is many, many more men than were killed at any other time during the war. We can scarcely imagine the effect this must have had on the towns and villages in our area. Men who had worked together had died together, some families lost more than one member, fathers, sons, brothers, uncles, nephews, cousins - communities were devastated. The total of Barnsley losses during the Battle of the Somme was 809 men (at our present count) and these included men from a whole range of regiments. Not just the Barnsley Pals (13th & 14th Battalions of the York and Lancaster Regiment) and other Yorkshire Regiments but also Barnsley men serving in Lancashire Regiments, London Regiments, Scottish Regiments, the Royal Medical Corps and many, many more. A number of Barnsley men who had emigrated to Canada and Australia and who were fighting in those countries' Forces fell during the Battle. For more information please contact us bwmp2015@gmail.com or via Facebook or Twitter. We published a partial list of the events we knew were taking place in Barnsley in our June newsletter, needless to say in the past week or so more have come to light. You can follow us on Facebook or Twitter where we will post updates when we receive them. 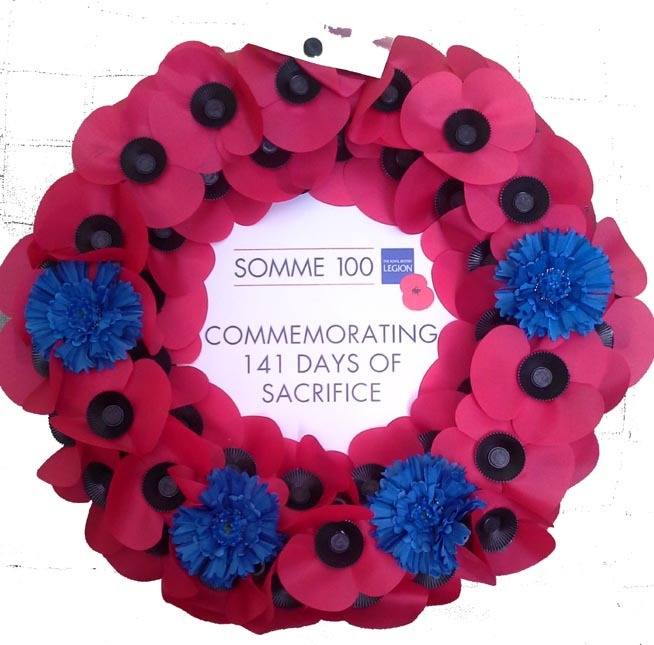 On this page we will list any and all events, displays, commemorations, services, in fact any show of respect and commemoration for our Barnsley men during this, the 100th anniversary of their service at Battle of the Somme. Please help us keep this list up to date and inclusive. Contact us on bwmp2015@gmail.com with any updates.